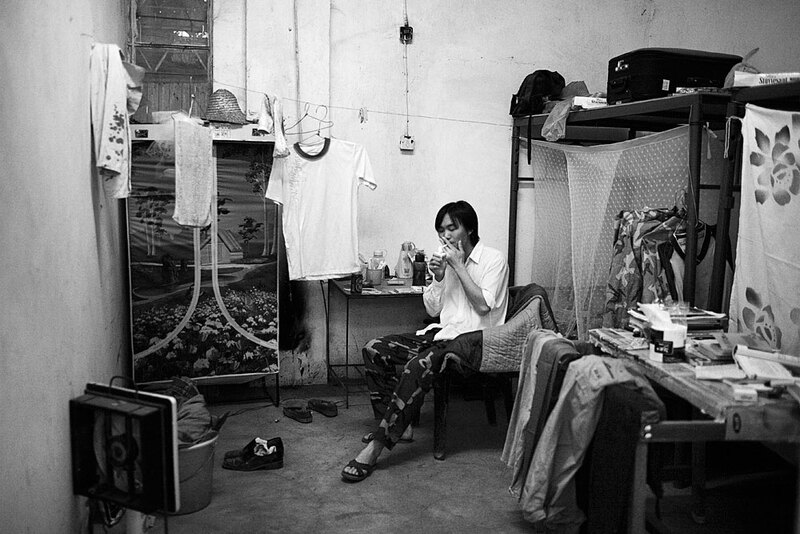 Pan-De, age 26, a Chinese supervisor, lights a cigarette in his small room next to a copper smelter, Ndola, Zambia, 2007. The ore is taken from mines in neighboring Lubumbashi, DRC. The copper is later transported by ship to China, fueling their demand for raw materials.